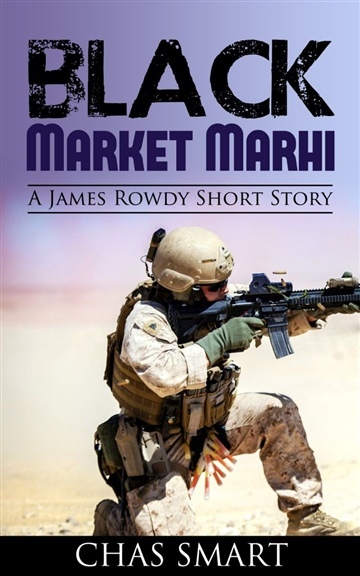 Black Market Marhi is a light-hearted short story about an Airman in post war Iraq. It contains adventure and humor. It is the first story from Chas Smart so be nice and give it a read. I am a BIG fan of W.E.B. Griffin and enjoyed his 'Brotherhood of War' series. I have also read the other Biggies in the field ie. Brown, Herman(autographed copy of first book), and Bond( I always thought he was the closest to Griffin) I am a retired military veteran (Iraq vs Kuwait and US vs Iraq) and am now trying my hand at military fiction. I hope you enjoy reading my work as much as I had fun writing it. I am married to an awesome woman named Jewel (over 10 years) who puts up with my 'old dog ways'.